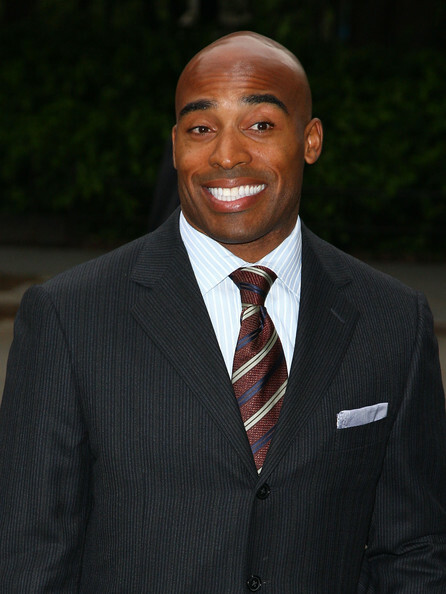 So, unsurprisingly Tiki Barber's comeback after four years of retirement in which he worked as an analyst and NBC contributor and was neither good at both, left his pregnant wife for an NBC intern that he is now engaged to and made up what the G on the Green Bay Packers' helmets stood for has proved fruitless. His one tryout, with the Miami Dolphins, did not work out as they chose to sign Larry Johnson instead and nobody else has brought him in. Now as the NFL season approaches, we can now laugh at the joke that Barber has become. Barber tried so hard to be a hip media personality but fell flat on his face and he was last seen doing web videos for Yahoo! Sports (albeit with the gorgeous Charissa Thompson). He is most likely broke and thus cannot afford his divorce so he must've thought "Hey I was a pretty good NFL back. Teams will definitely want to sign me!" Well just like everybody predicted, nobody wanted him. What few people actually cared now realize what a joke he is and that if he really wants to play football again, his only option is the United Football League with the Omaha Nighthawks. Now Barber must realize it is time to go away for good. Nobody cares anymore about his exploits and what few fans he had after alienating the Giants' organization are gone. Sorry Tiki.